Published December 28, 2017 at 3925 × 2355 in Shoreline Parks Plan, East Shore of Staten Island. 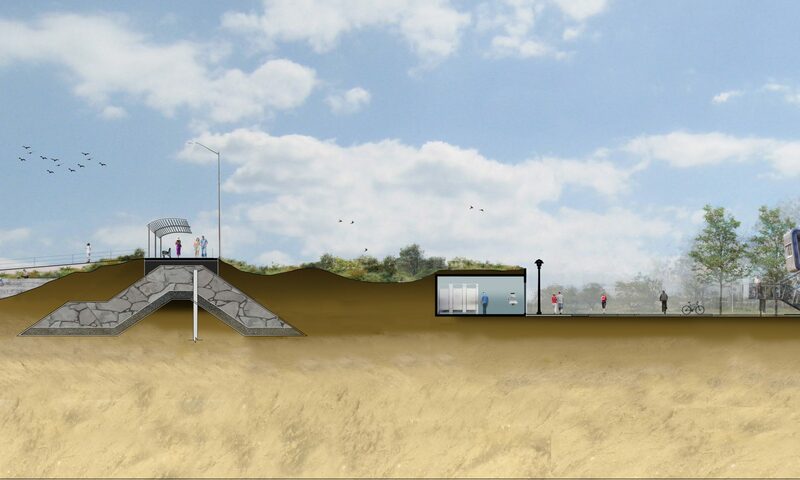 A comfort station is tucked under the buried seawall. The topography, sculpted into planted dunes, restores the natural character of the shore.